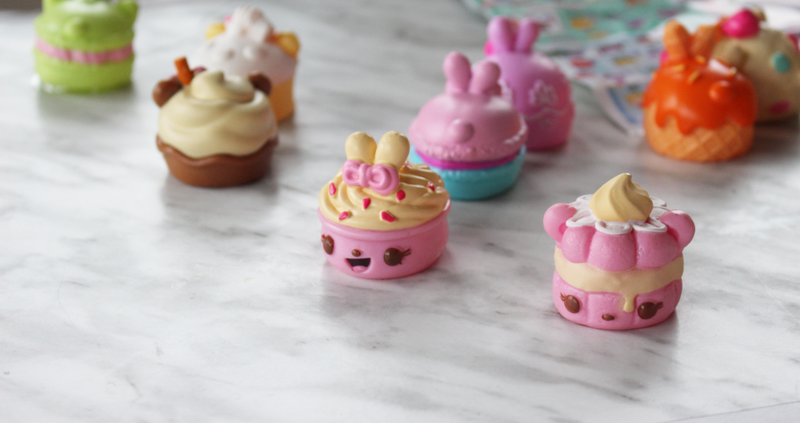 One of Ava & Zoe’s favourite toys is the super-cute, scented food-themed Num Noms! 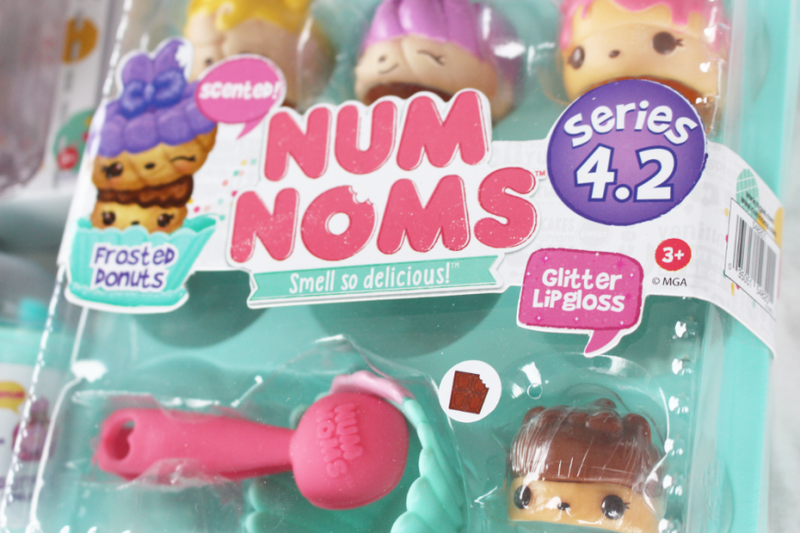 You might remember them from our post earlier in the year about the Num Nom toys that would light up! Well, they’ve done it again and now your little fashionista can mix, match and stack with series 4 lip gloss & nail polish. 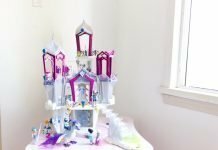 Disclosure: I partnered with MGA Entertainment in this post about Num Nom toys. All opinions expressed in this post are 100% my own! Series 4 introduces all-new menu themes like Cookies, Pies, Pasta and more! 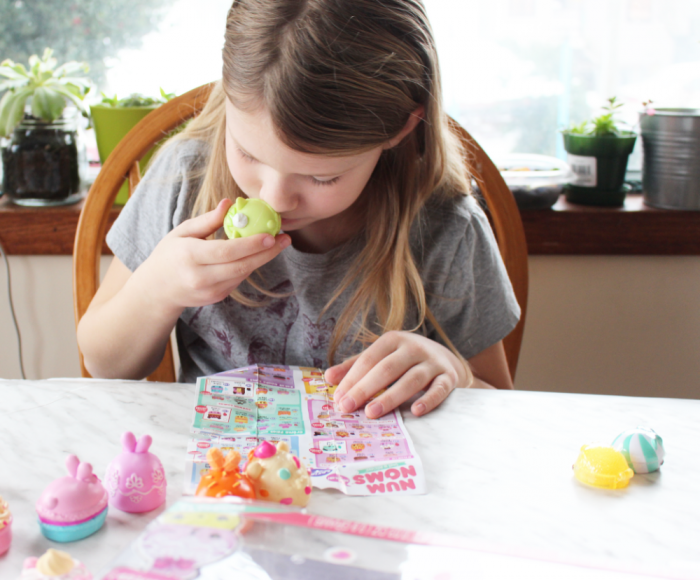 Num Noms mystery packs are full of surprises. With two daughters, hair elastics, nail polish, purses and lip gloss are considered a currency between them. 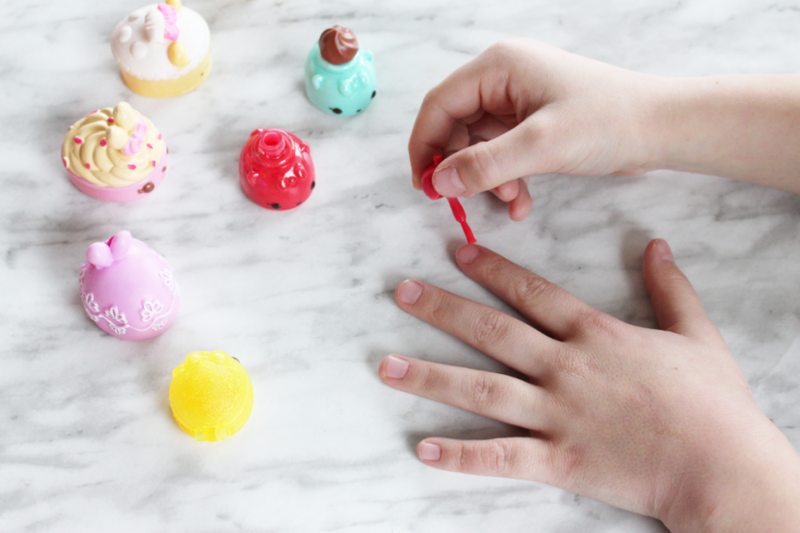 Series 4 Num Noms are now scented nail polish or flavored glitter lip gloss! I really like the nail polish and lip gloss for the kids. They aren’t overly pigmented so they aren’t overbearing! They also don’t last a long time which is awesome as both girls tend to pick anything off over 2 days! They’re able to have fun and change their minds with colors! 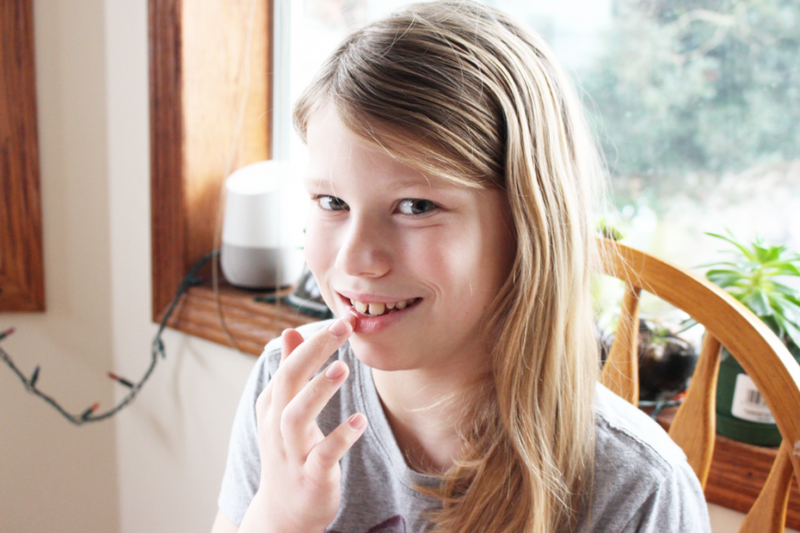 Mix and match Num Nom to create sweet, scented recipes! 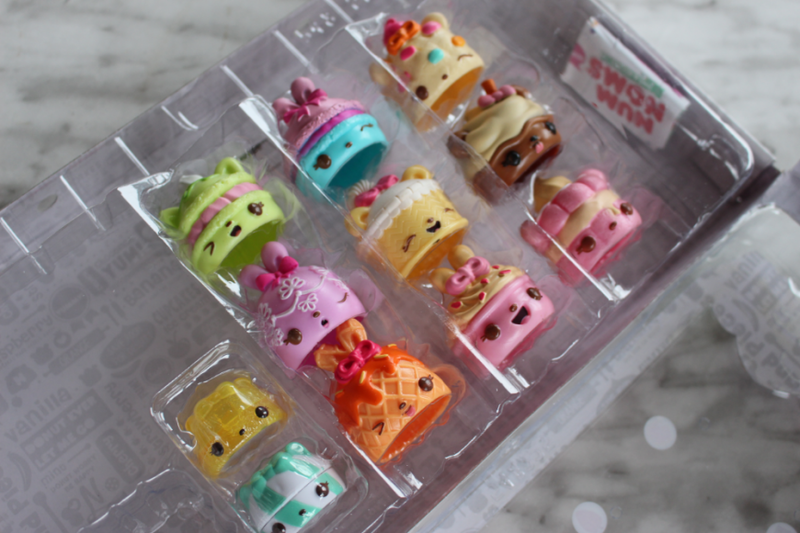 Collect 120 Num Noms in Series 4! With 120 Num Nom toys to collect, we’ve managed to gather quite the collection and Zoe uses her imagination in the best way. She’s not as aware of the nail polish and lip gloss like Ava but she enjoys the smells and stacking them on top of each other! The possibilities are endless! 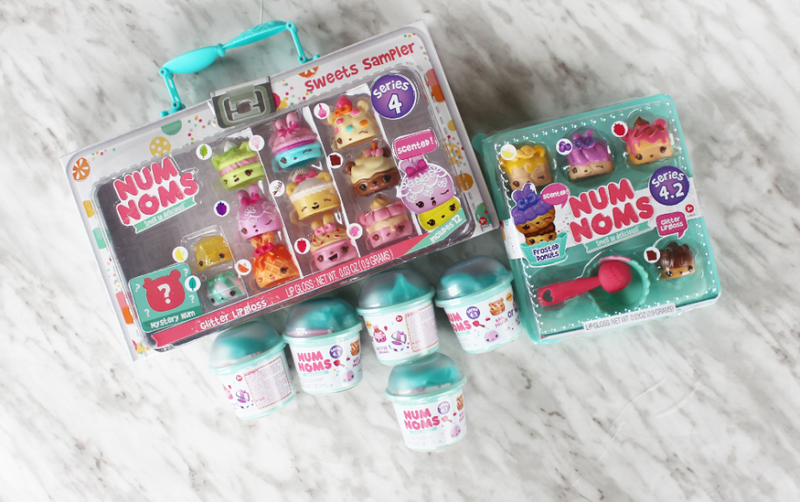 The Num Noms Mystery Packs come packaged inside a fro-yo cup with one scented Num in a variety of flavors and come with one secret Nom with scented nail polish or flavoured glitter lip gloss! Did we mention that the Series 4 scents are Cookies, Fancy Cakes, Creamery, Baked Goods, Creme-Filled and Pasta. Ava also opened the Frozen Yogurt Started Pack which retails for $14.99 and comes with three scented Nums: Mango Sherbet, Razzy Fro-yo, and Sprinkles Fro-yo. One flavored, glitter lip gloss Nom: Orange Drop Gloss-Up. They come packaged in the cutest egg carton to-go box and include tongs and cookie jar accessories! But the favourite Num Nom toys of all is the Num Noms Lunch Box retailing for $22.99. I think Ava likes it the most because you get a variety of 10 of the scented Nums. The series 4 collection is a variety of Cookie, Fancy Cakes, Creamery, and Creme-Filled flavours. 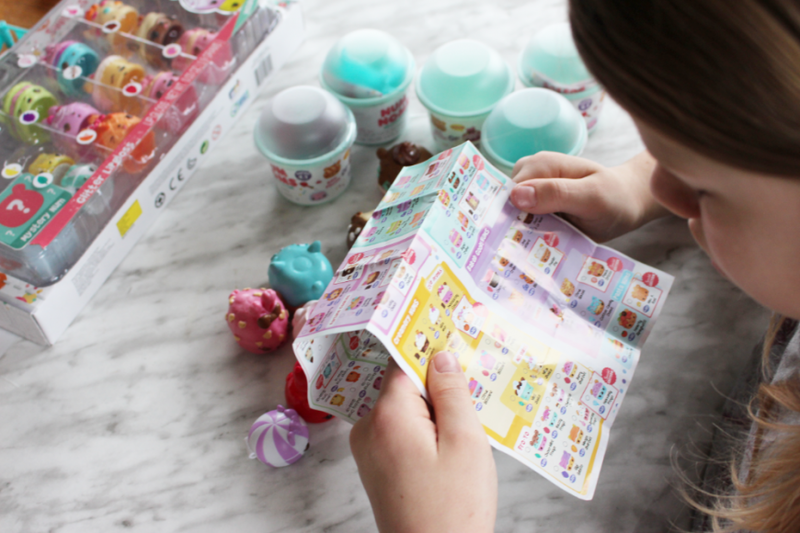 Furthermore, the Num Noms Lunch Box also contains one mystery Num and well who doesn’t love a good surprise, especially when you’re in the game of collection rare or ultra rare nums! Which are your favourite Num Nom Toys? Well, my friend, you can find all of the above Num Noms at Available at Amazon, Indigo, Loblaws, Mastermind, Toys R Us, Walmart, West. or you can enter below to WIN everything we’ve mentioned above! GOOD LUCK! 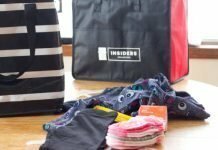 *MUST BE A VALID CANADIAN RESIDENT TO WIN! 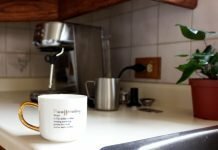 Next articleGrit: My Word For 2018 & New Years Challenge! Oh definitely lip glosses!!! Thanks for the chance to make my niece’s day!!! I like lip gloss the best. These are so cute! Love the lip gloss! Liking the lip gloss the best. I like lip gloss the best, I am not patient enough when applying nail polish. I think DD would love the lip gloss more! I like lip gloss the best.Thanks for the chance ! Lip gloss would be a hit in our house. I like the lip gloss. I like Lip Gloss best! I like lip gloss more than nail polish. The nail polish but my granddaughters would love both so much! Thank you! I like the lip gloss the best! I like the lip gloss better than the nail polish and it is less messy! I would have to say Lip gloss for me. I like lipgloss more, though the margin is small! My daughter is equally obsessed with both! 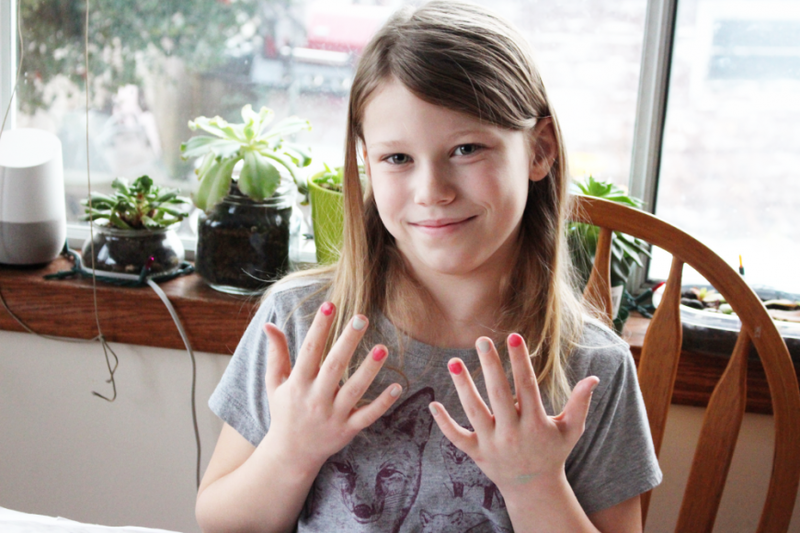 I personally like lip gloss more, but for my daughters I prefer nail polish. 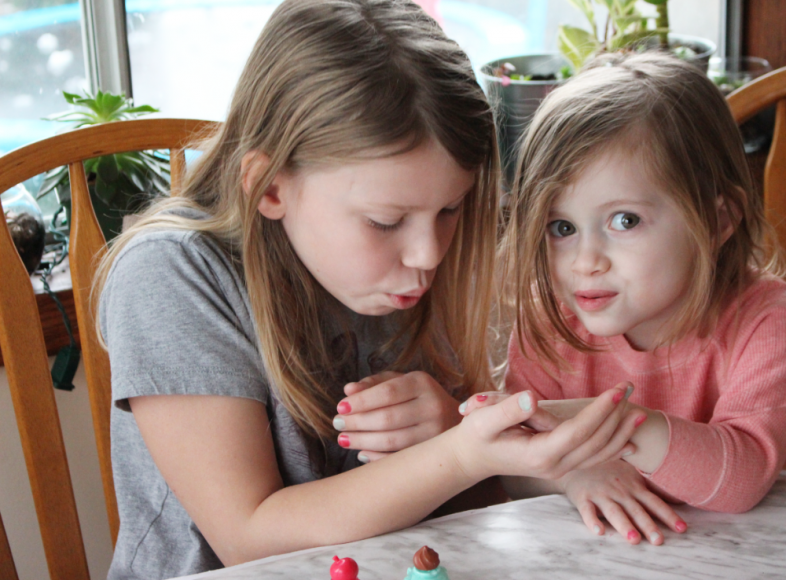 My girls love lip gloss while I am more of a fan of nail polish. I like lipgloss more. I never have enough time for nail polish. My daughter and I are big lip gloss fans! Can’t go a day without it! Lipgloss! Alivia would love these! I think the Lipgloss would be my favourite. I like nail polish most between the two. 🙂 Thanks!